Queen Jasmine died today. This is the sad story. It's accompanied by photographs that I took during the hive inspection with the intention of posting a happy story. 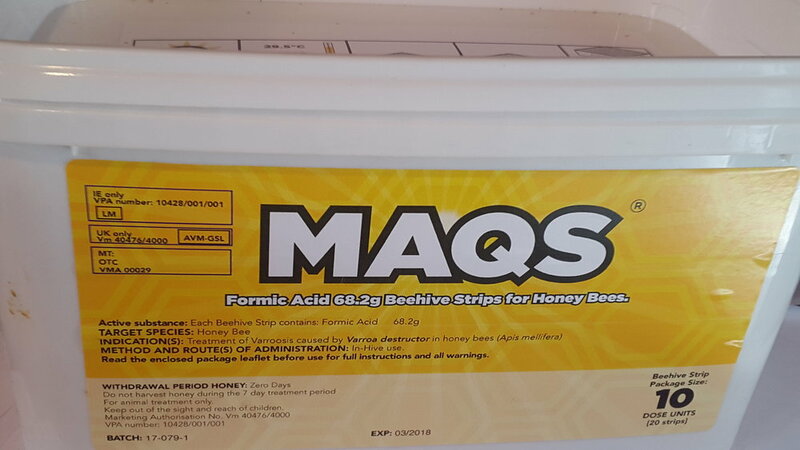 Formic acid will initially disturb colony activities and may, within one day of application, result in queen rejection or slight increase in adult bee mortality. I've used the product before with no problems. 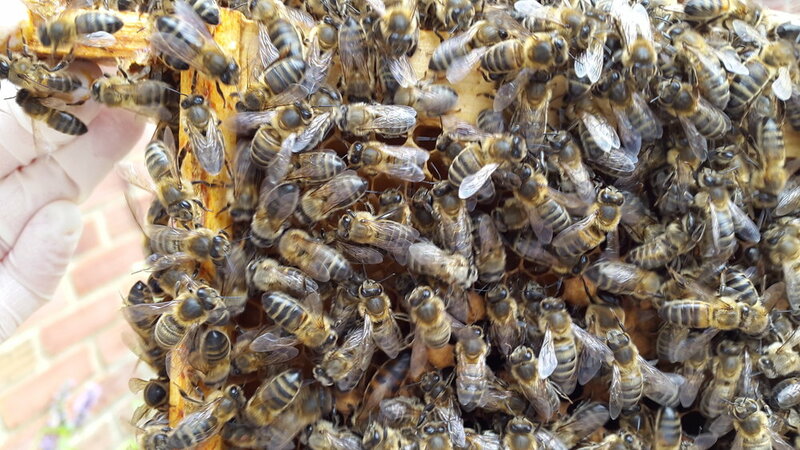 The risk to the bees is greatest at high temperatures but today the weather was cool and a little showery. Acutally, looking back at the photograph, these strips are a little further apart than they should be - they are supposed to be placed more centrally. That won't have affected things though. 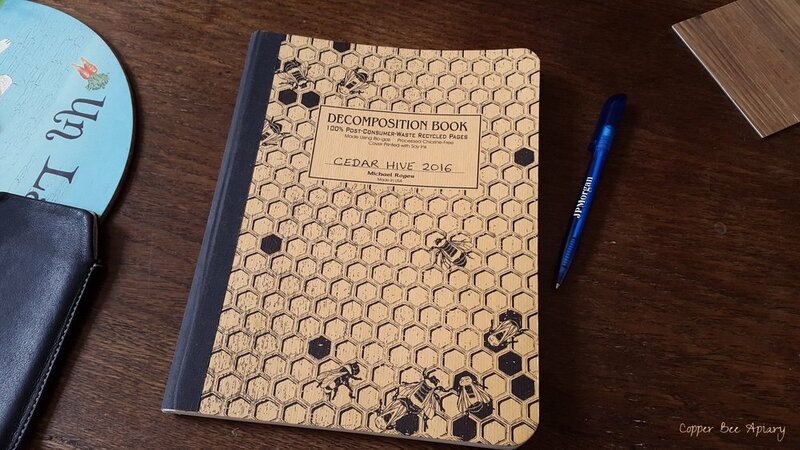 After I closed up the Cedar Hive, I went to write up my notes, had a cup of tea, then looked at another hive. 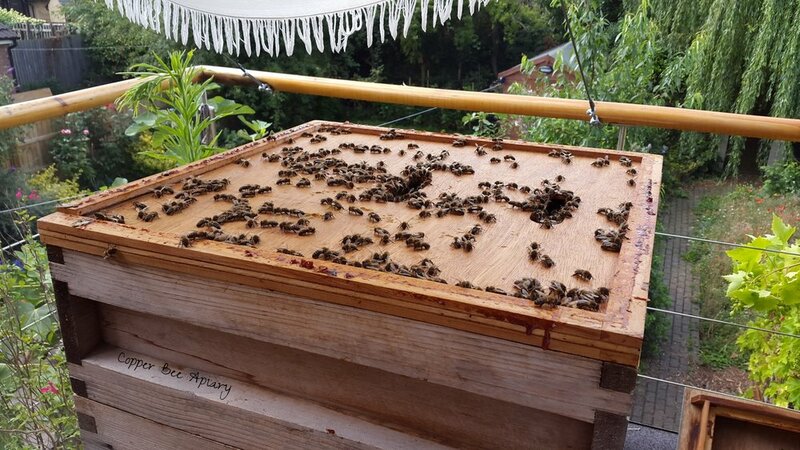 Then it started to rain, and I went back to the Cedar Hive to bring in some equipment that I had left out on the gin terrace. When I opened the door to the terrace, I found a little pile of worker bees on the ground immediately outside, clustered around something. I went to see what they were doing. 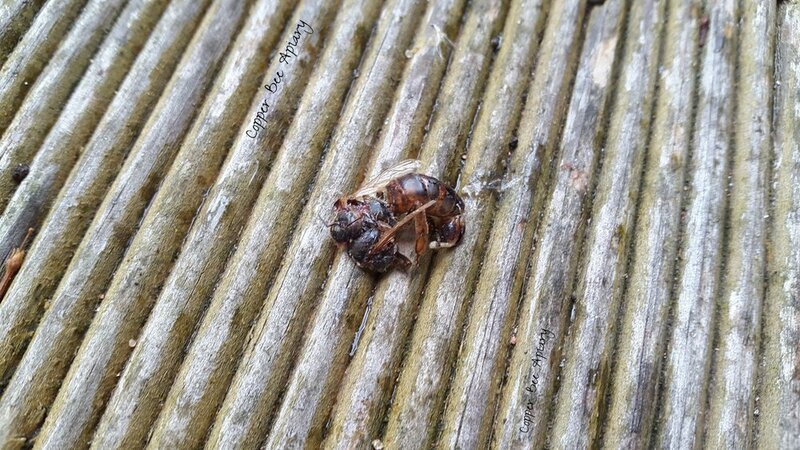 Gently moving workers aside, I found a dead bee in the centre of the pile. The bee looked squashed, and her stinger was out. 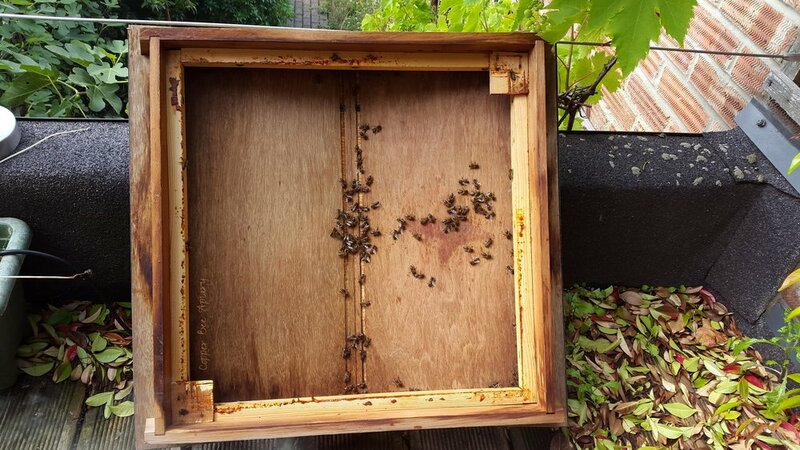 Bees don't cluster around a dead bee under normal circumstances so I feared the worst and yes, when I collected the bee and brought her in under the light I could see that she was a dead queen. Queen Jasmine. An hour and a half earlier, I had seen her walking happily around on a brood frame. Either way this is a very sad ending to a beautiful queen. It was Queen Jasmine whose ascension to the throne featured in the story The Hidden Princess. Today, I really do feel like a wicked witch. Alea iacta est. 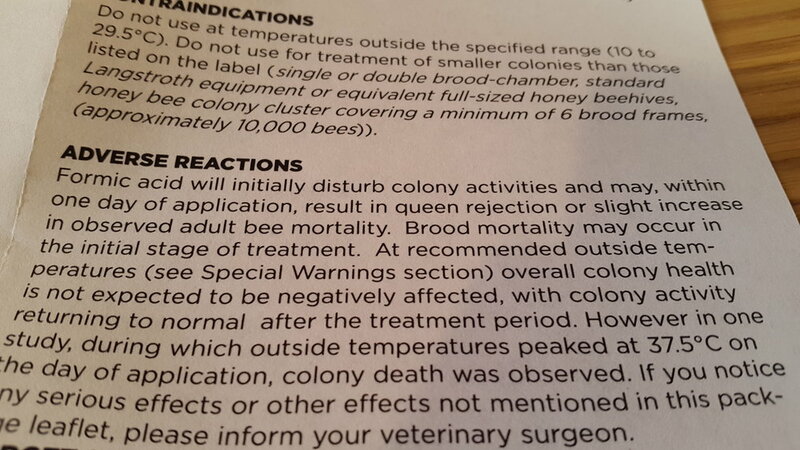 It was a mistake to do this when the colony had already been disturbed.